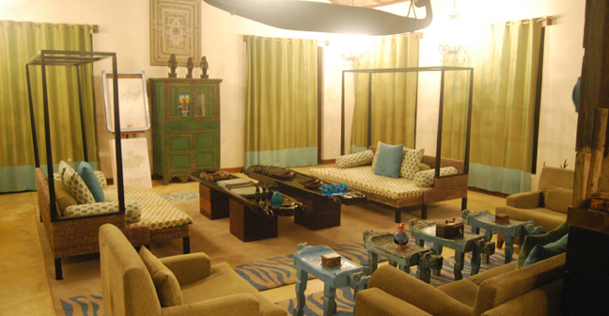 ‘Baghvan’ is made from the jumble of two Hindi words ‘Bagh’ (Tiger) and ‘Van’ (Garden). Thus the literal meaning of this word is "garden of the tigers". 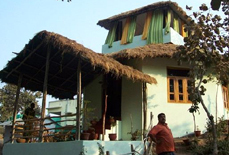 It is a perfect and luxuriant accommodation option in Pench. 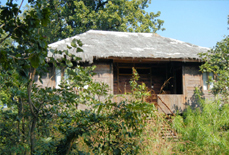 Its surroundings are blessed with exotic wildlife. 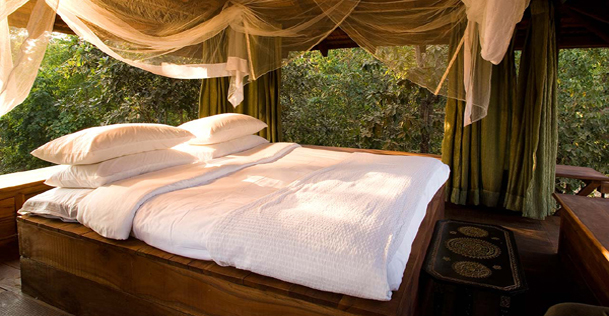 The view from the bungalows of this luxury accommodation property is extremely mesmerizing. 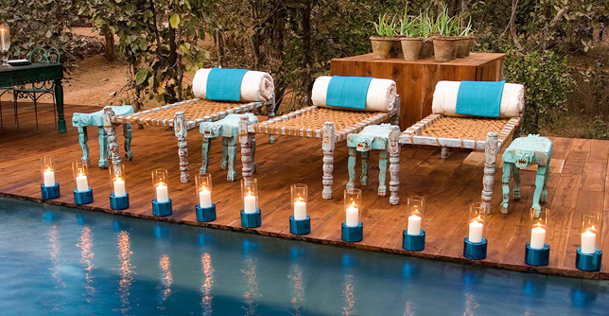 This resort boosts the serenity in the minds of the tourists. 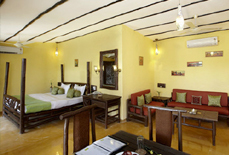 In the resort, there is a real rustic retreat set by the gushing stream surrounded by the picturesque woods and hills. 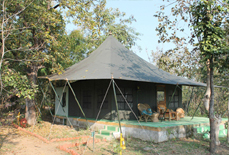 It amazes the guests coming for tour to Pench. 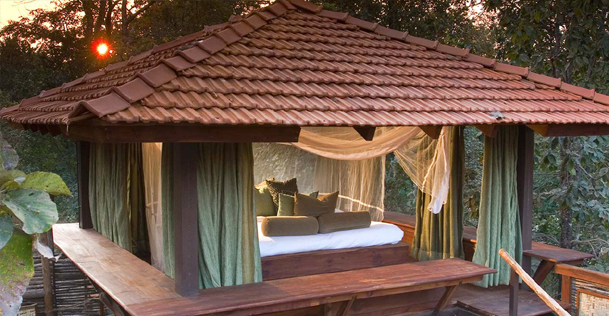 This resort provides the world-class amenities that add to the saga of a forest retreat. 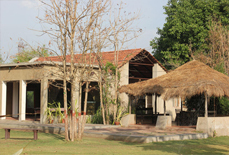 All these facilities make this resort one of the finest accommodation options in Pench. 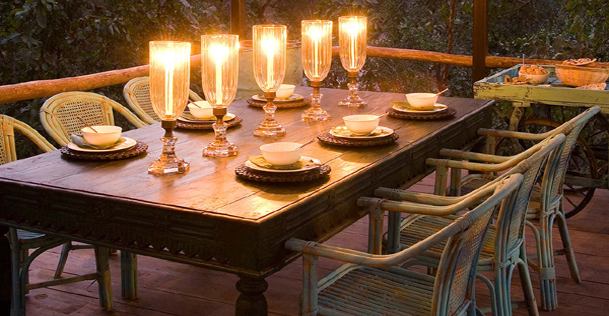 The open vicinity of this luxury property complements the rambling ambiance. 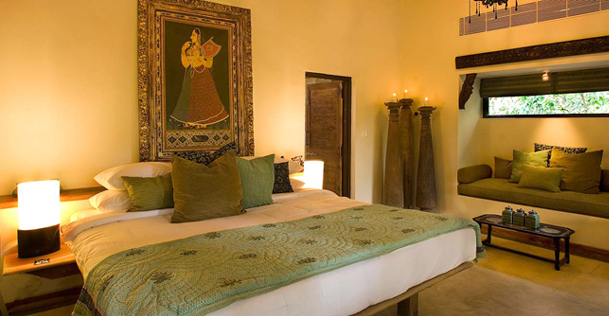 Large sitting areas, quaint interiors, cozy bedrooms, and a pleasant look all through - all these elements make the accommodation around Pench all the more special. 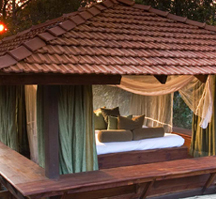 Accommodation: This resort embraces 12 individual bungalows that offer rooftop sleep outs or Machaans. Note: Written cancellation will accept on all working days, except Sunday. Any cancellation sent on Sunday’s will be considered on the next working day i.e. Monday. 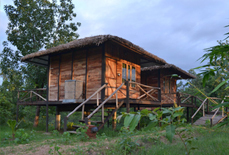 This luxury resort is located on the edge of Pench, thus, guests staying in this resort can visit the verdant woods of this park easily. It is well connected to Nagpur by road. Nagpur Railway Station (90 kms) is the nearest railhead and Nagpur Airport (approx. 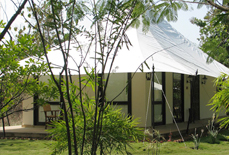 90 kms) is the nearest airport from the resort.